One of the best cheeses you will ever taste is Haloumi specially when freshly fried or grilled, the mozzarella like texture of inside and semi crispy outer layer combined with its salty taste is something to drool for. Just on its own is already a treat but for this instance we will be using it in a summer salad and match it with sweet watermelons and grilled tomatoes which further accentuates the flavours of each other. Brush grill with oil then grill haloumi and tomatoes until charring occurs. Remove from grill and set aside. 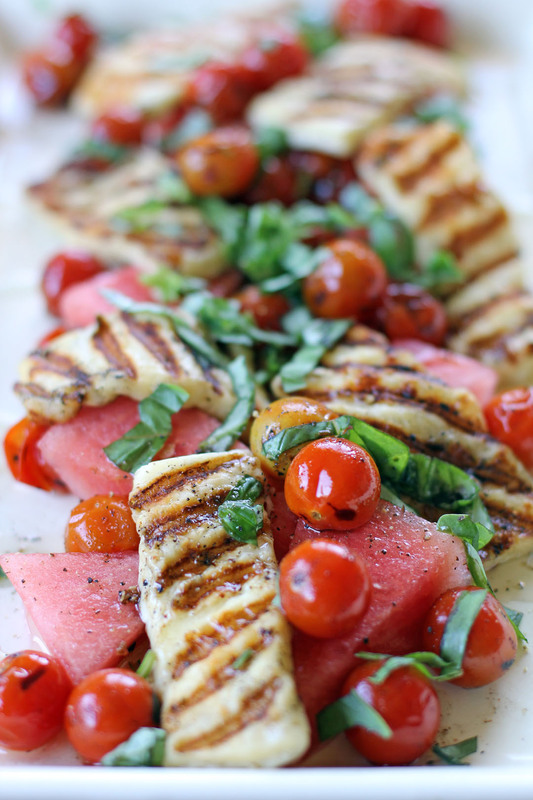 Arrange watermelon, grilled haloumi, grilled tomatoes and chopped basil in a dish. Mix together olive oil and garlic then drizzle over salad. Season with salt and freshly ground black pepper. All I can say is… OMG!!! I so love this photo, and I am drooling!! Galeng!!! I’ve had a strawberry and haloumi salad before and this sounds equally delicious. YUM! We used to go to a local wine bar where they served something similar and I’ve posted about it on the blog but your salad is a cut above Raymund! By the way we always have haloumi in the fridge, the kids LOVE it. This sounds wonderful, the textures take it over the top — YUM! I have paired haloumi [which I also love!] with watermelon but not added tomatoes before . . . have to try! I love haloumi, but I’ve never thought to pair it with watermelon. Yum! I love watermelon with feta cheese but I’ve never had it with a grilled cheese. This looks like a really delicious salad. Can’t wait for the watermelon to start showing up in the markets, but it’s going to be a while. I’ll be pinning this one. Thanks! That salad looks great! I’ve never tried haloumi before… It’s now on my must try list! Wow… I must try this salad! I’ll have to make this for my family 🙂 My husband hates watermelon but I love it and I love the idea of matching it with grilled haloumi (personal fav!) and tomatoes. Definitely one to try! I love the slow-melt cheeses like Halloumi! LOVE that photo Ray ! 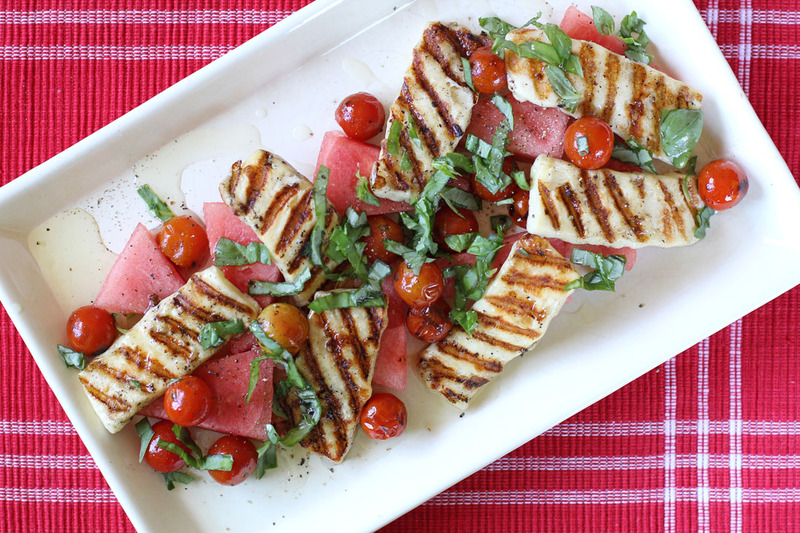 And I’ve never thought of pairing haloumi with watermelon before, yum ! the whitish chunk is cheese?? hmm, i’ve never had haloumi before.. interesting mixture with watermelon..